A country house is an asset which continues to serve as a source and inspiration throughout your lifetime. A country living room can be incorporated in an urban setting with personalised furniture and interior decoration elements to yield a perfect ambience of bliss and rejoice. 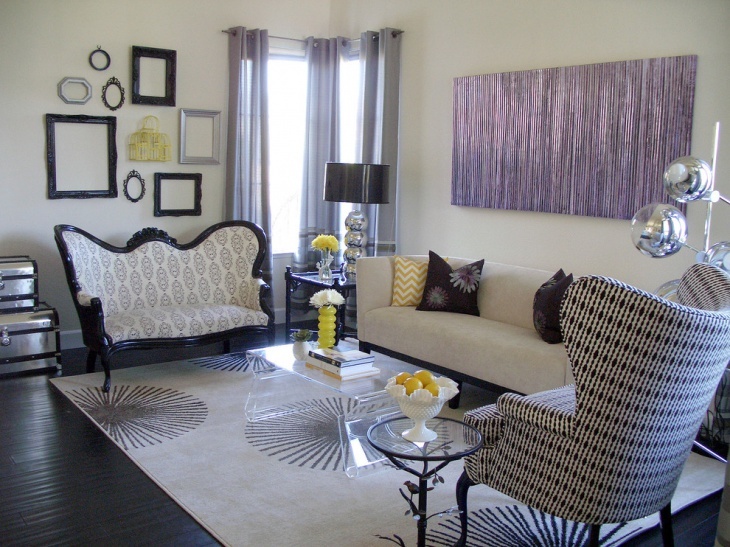 Even small living room ideas can be blended with contemporary amenities and features to derive a classy look. Here, you will come across ten beautiful country living room ideas that will surely blow your mind. 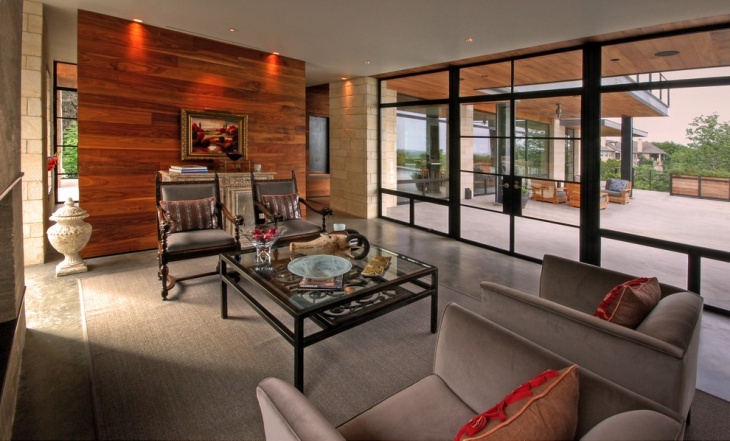 Black metal windows and wooden walls stained wood walls enjoy a good compatibility. 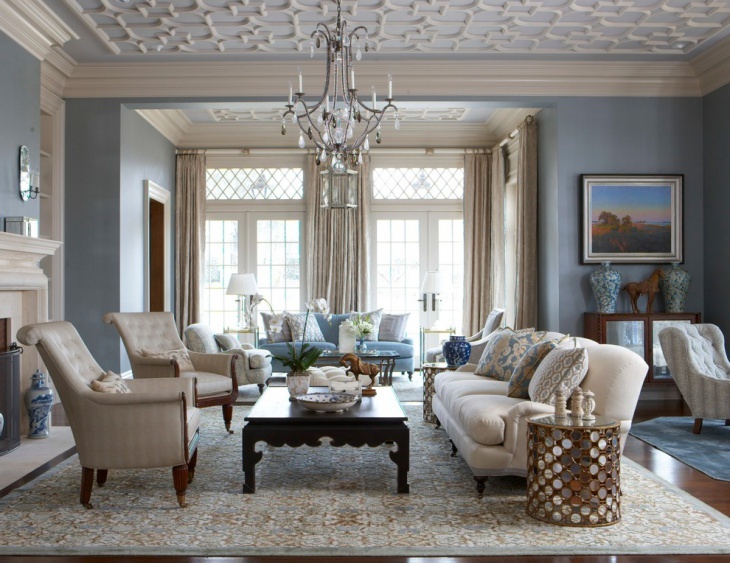 When you have a spacious country room, you can opt for grey velvet chairs for the living room. Matching sofas deliver a home-theatre like look to the setting. A grey floor in the room is a perfect match for the interior. 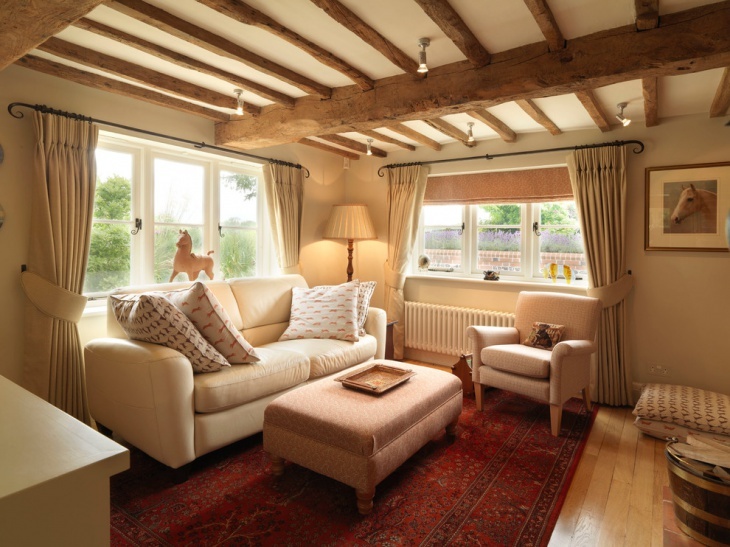 Country rooms look great when they have an exposed ceiling supported by wooden poles. The room has a brick fireplace and radiator curtains to complement the looks. 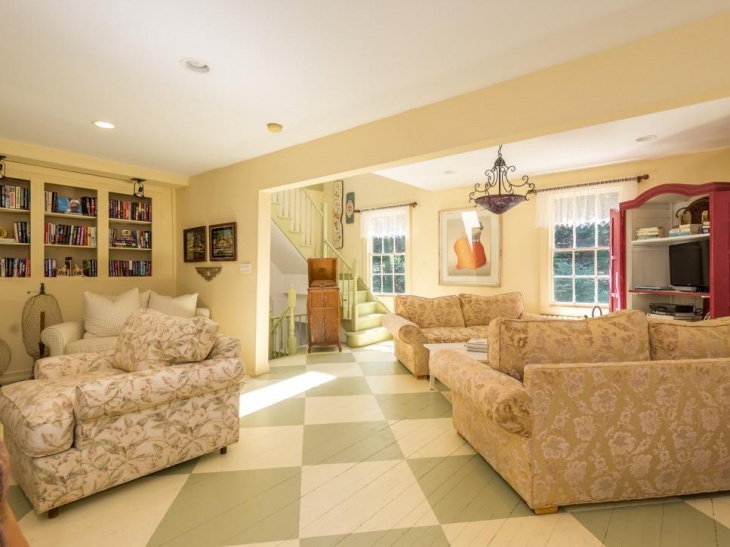 It has a matching country sofa, and the textured carpet on the floor complements the beauty of the small country living room. 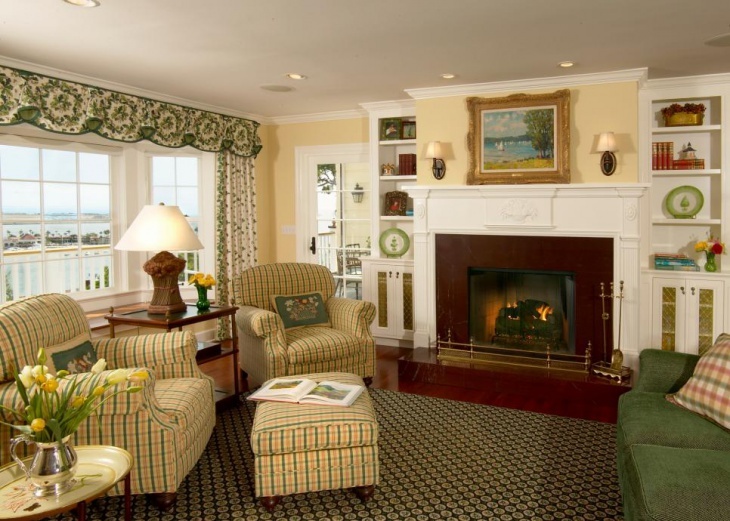 The cream paint on the walls and antique brown glaze of the sofa are charming in this particular country room setting. The black metal door looks compatible to the beautiful setting. 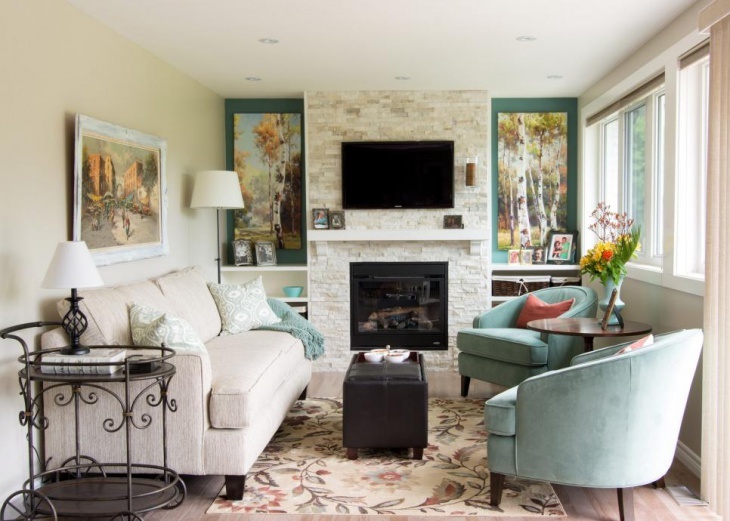 It is a Pottery Barn Living Room with portraits over the sofa. The couch arrangement in the room looks classy and trendy. You may love to enjoy the ambience of a cool and spacious living room in a country home here, the breakfast table is centrally placed in the room with sofas and couches around for sitting arrangements. It has an open kitchen attached to it. With hardwood flooring and drop ceiling, the room looks elegant. Go for a whitewash for the walls to derive the intrinsic beauty of the room. This is a white country room with a white interior. There are high shelves in the room, and the place looks bright and beautiful with large square glass panes in the windows. With a blue pallet bar table in the centre, the room looks sophisticated. 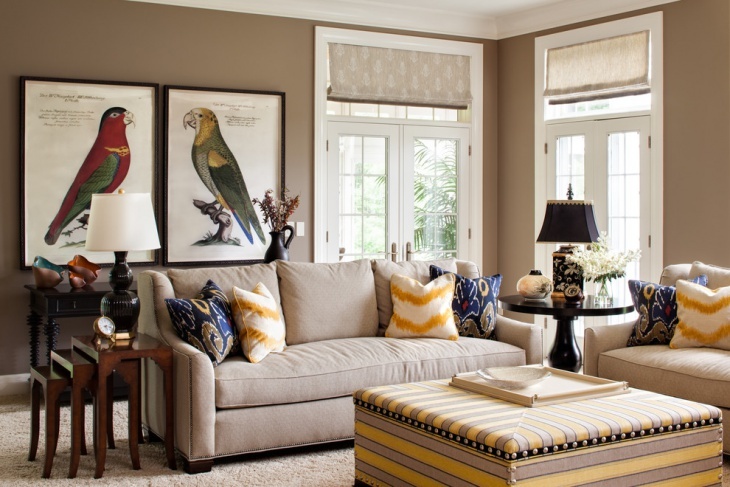 When you look out for a bright interior setting for your country living room, you can opt for this sunroom-styled room design. The white walls complement the elegant dark brown windows and doors. The light wooden floor looks classy too. 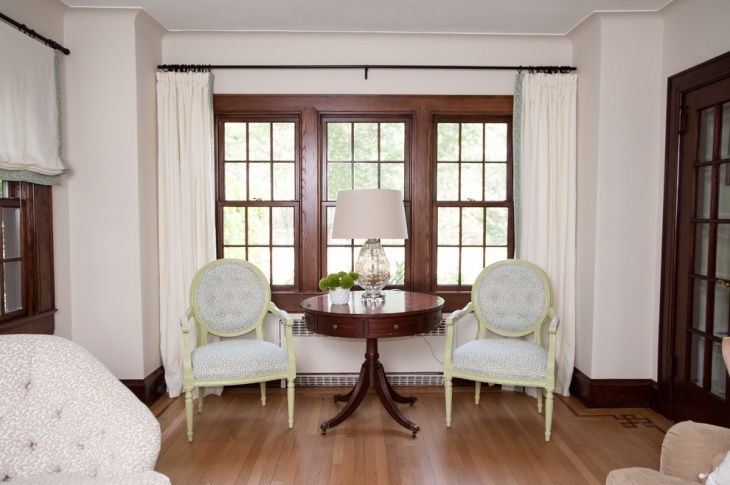 You can incorporate border draped around the window to make the room beautifully matched. The salmon colour goes well with living rooms. When you have an eclectic living room, you can install a salmon coloured sofa in the room. It has white walls and light blue cabinets along the walls. The light wooden flooring makes the room look complete. If you crave for a formal look for your spacious country room, you can opt for this particular r design with grey and blue walls. The room has an open fireplace and the portrait on the wall with blue background looks conspicuous. The open concept living room has well-designed ceiling and elegant furniture. You may have the aptitude to personalise the living room to perfection. Here, you can opt for sheds above the windows and printed sofa. 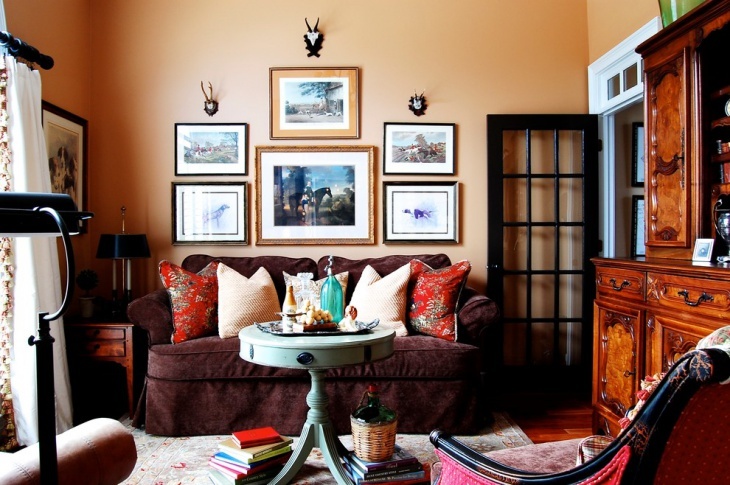 Use a unique shade of brown to paint the walls. White frames for the windows are ideal for this room. If you are fond of vintage interior settings for your country living rooms, you can incorporate the perfect mix of fabric and leather. It has a classic interior design with modern Victorian furniture. With white walls and wooden frames in the room, it is a perfect setting to cherish. When you strike the right balance between the furniture and the wall colour in the room, it yields the perfect look in a country living room. 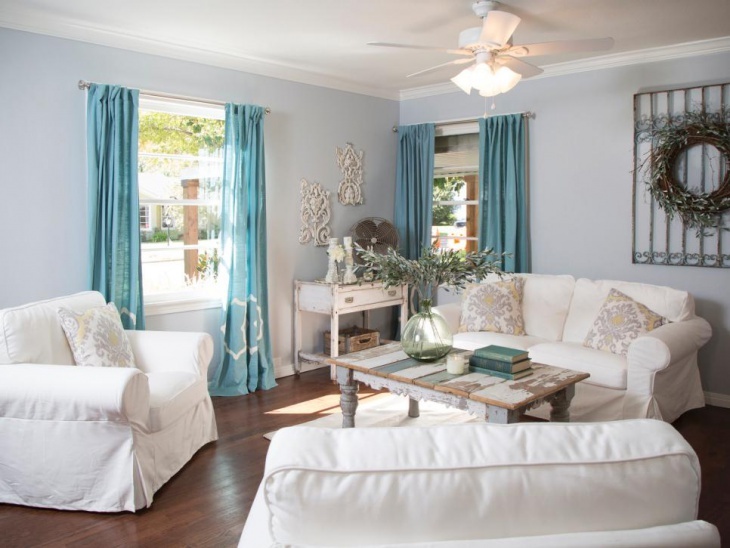 There are a number of variations of the room designs, including Teal Living Room, Outdoor Living Room, vintage country living rooms and so on. You may have your own ideas regarding country living rooms, and if you come up with something innovative, feel free to share it with us.